This fall looks to be an exciting one for The Digital Press at the University of North Dakota. 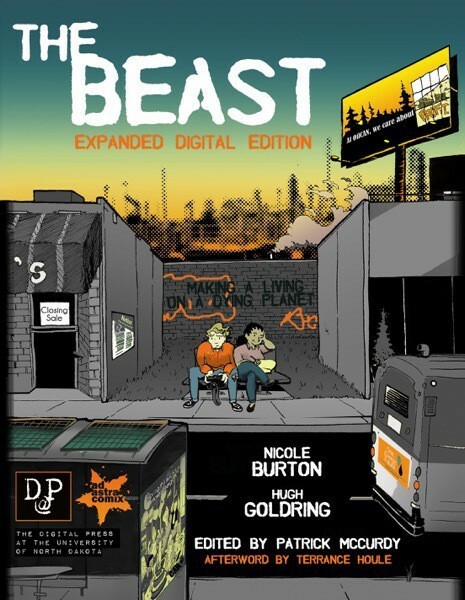 First, we have two new titles that should appear in the coming weeks: The extended digital version of Hugh Goldring, Nicole Burton, and Patrick McCurdy’s The Beast: Making a Living on a Dying Planet which was originally published by Ad Astra Comix (and you can buy the print version here). There’s a great interview with the authors and creators of this work in the LA Review of Books. You can find the link on the book’s page at The Digital Press. 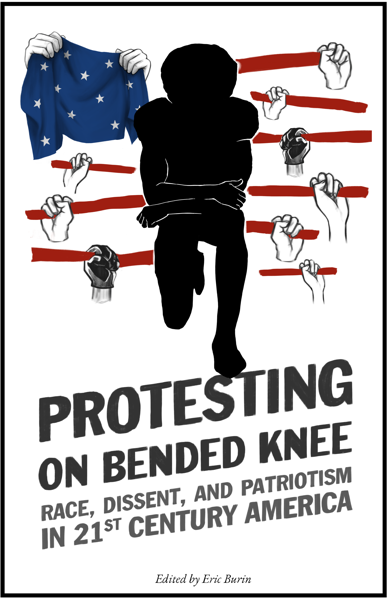 We’re also very close to having Eric Burin’s edited, Protesting on Bended Knee: Race, Dissent and Patriotism in 21st Century America. We’ve published some previews to this book already, and there’s a great interview with Eric on the book’s page at The Digital Press. What makes these two books even more exciting is that we hope that they’ll push The Digital Press over the 5000 download mark (and this doesn’t count the download that were registered from other platforms like Archive.org or copied and shared by our readers) We hope that the release of The Beast and Protesting on Bended Knee will help us achieve this goal! Finally, and most importantly, The Digital Press has always used social media to keep our readers updated on our latest releases. We don’t ask for emails or anything like that (although we do have an informal back-channel email update when a new book comes out) and we certainly don’t keep any records of who downloads or buys our books. It would be great if you could follow us on Twitter (@DigitalPressUND) or on Facebook.